If you are Bulgarian you have for sure heard about the Krushuna waterfalls. Maybe you have been there, maybe you want to go there. So far so good, but I will bet you that you have never ever heard about the Green waterfall (Зеления водопад). If you dropped your inspiration on the way to work today, just go to the Green waterfall over the weekend for some. If your battery is low, recharge at the Green waterfall. Feeling disconnected? Connect with nature at the Green waterfall. If you feel sick of refreshing your facebook page, go freshen up at the Green waterfall. If adventure hasn’t knocked on your door recently, go knock on its, at the Green waterfall. Follow me? Yeah, sure, follow me to the Green waterfall. 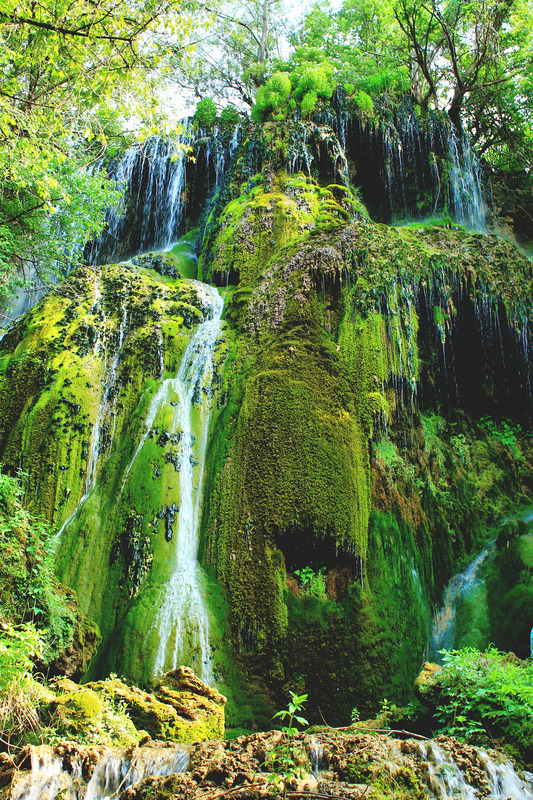 The Green waterfall is located near the famous Krushuna waterfalls in the Bulgarian village Krushuna. The village is 30 km ( = 30 minutes by car) away from the city of Lovech. Lovech on the other hand is 150 km ( = 2 hours by car) away from the capital Sofia. When you reach village Krushuna and park yourself, you can start walking. You have a 5 minute walk until you reach a point with two possible directions for you to take. If you keep on going straight you will be following the path that will lead you to the Krushuna waterfalls. If you choose to turn right, you will eventually reach the Green waterfall. That special point is marked by two signs, so don’t worry, you are not gonna miss it. The walk to the Green waterfall is max. 15 minutes. When you reach it you will be actually on top of it, so you should follow the small path that will lead you down. – There is an entry tax for the waterfalls (as weird as it may sound) which is 2 lv ( = 1 euro) for adults and 1 lv ( 50 cents ) for students. You have to show proof. – The easiest way to reach the waterfalls is by car. You can make the trip (Sofia – Lovech – Krushuna and back) in one day with the right planning of your time. 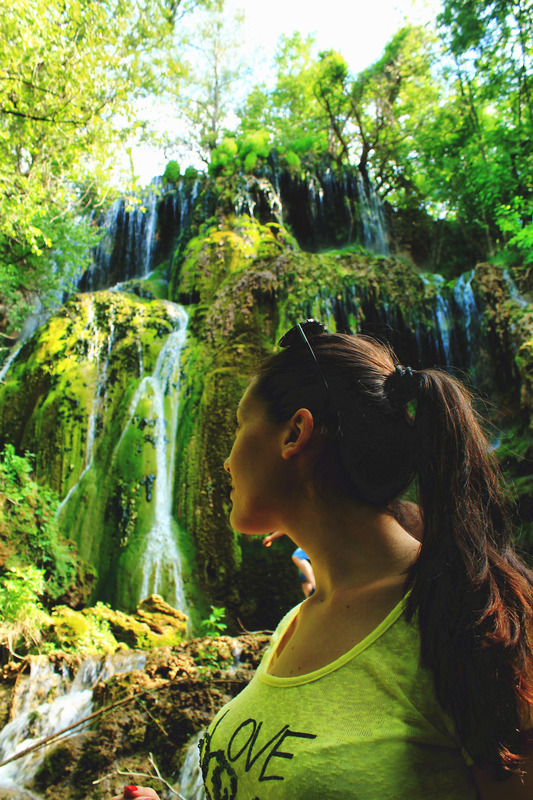 – You have enough time to visit both waterfalls – the Krushuna and the Green (and you should). – After the point with two possible directions, if you follow the one to the Krushuna waterfalls, on the way there is an outdoor eat & drink place. That really cozy place closes at 17 h. You can eat kebapche, kiufte, salad, fried potatoes, liuteniza, etc. And you can have a beer! – Around the river and the waterfalls it can get muddy – have that in mind when you choose your shoes. Feel free to ask whatever question you have.